In Houston, we experienced (or maybe endured is the better term) our first ninety-degree day this week. Perhaps that's what has me thinking about some new dresses. Or maybe Imagine Gnats' selfish sewing week is the culprit. I'm sure I'm not alone in a desire for dresses, whatever the reason! 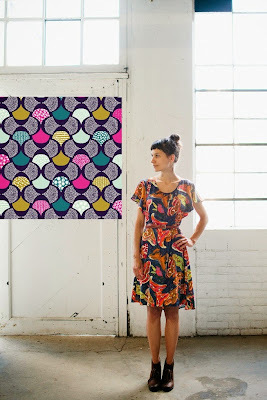 After seeing a rayon dress in person this weekend at a sewing retreat, I'm anxious to try it myself! I've also heard good things about double gauze, so maybe that's a good choice! And of course, voile would be nice and breezy for the Houston climate. 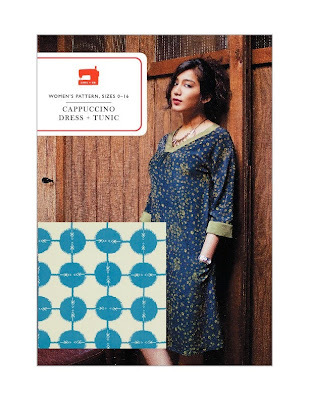 Cappuccino Dress in AMH Rayon in Cyprus. This combination seems fun! The Date Night Dress by April Rhodes in Koi Scalloped Edge in Plum. Are you craving a new dress?